There’s no doubt that moving is made easier with the help of a professional moving team, but professional movers aren’t created equal. If the movers you choose aren’t familiar with the area, you could end up stressed, confused, and unconfident in their abilities. 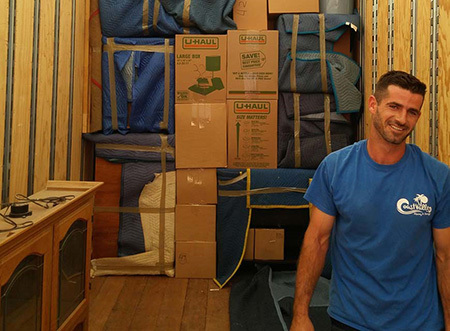 Make sure your move goes the way it should by hiring The Reserve movers of Coast Valley Moving & Storage, Inc. The Reserve is a popular gated community with families and seniors alike, but it’s also an exclusive community that not all movers have experience with. Because our San Clemente movers have experience moving clients in and out of this community, you can rest assured that your first and last impression in The Reserve will be a good one. What makes our movers in The Reserve different from other companies is the fact that we offer white glove moving services that ensure both you and your belongings are treated with the utmost respect and care. To further enhance your experience, a relocation coordinator will be assigned to your move, providing you with a single point of contact who can answer all of your questions and address your concerns. There are a number of reasons why Coast Valley Moving & Storage is The Reserve moving company of choice. Not only are we an agent of Wheaton World Wide Moving, which enables us to connect you with a wide variety of moving professionals all over the world, we have over 40 years of experience, and we are a ProMover with the American Moving and Storage Association. A free estimate is only a phone call away! Contact us today and we’ll create a custom moving plan just for you.